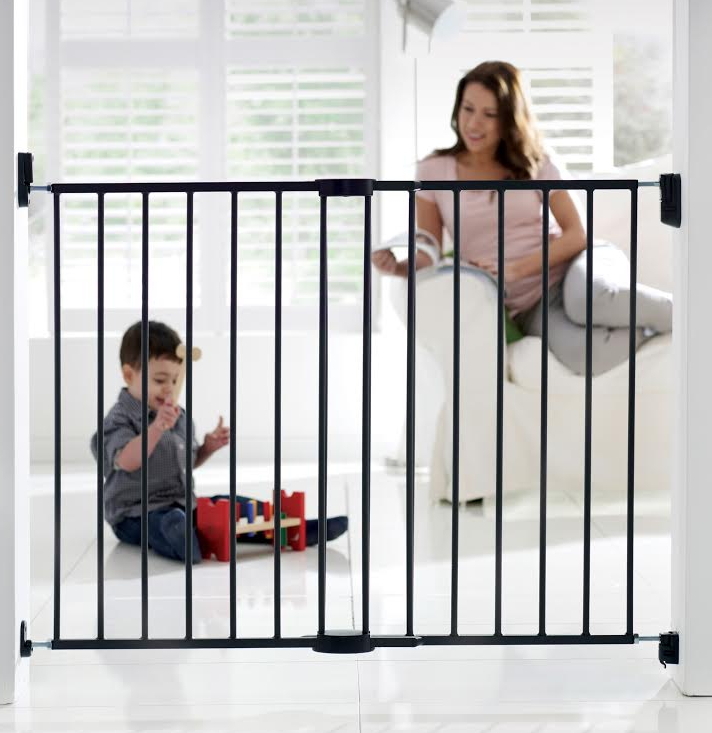 Munchkin Extending Metal Gate is the perfect gate for your home! 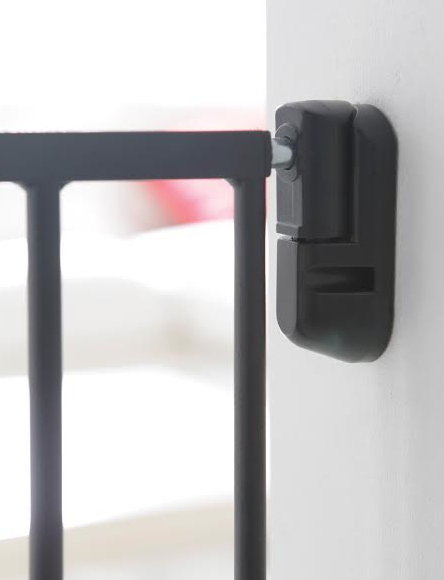 It has a unique tilting hinge mechanism that puts less stress on walls. 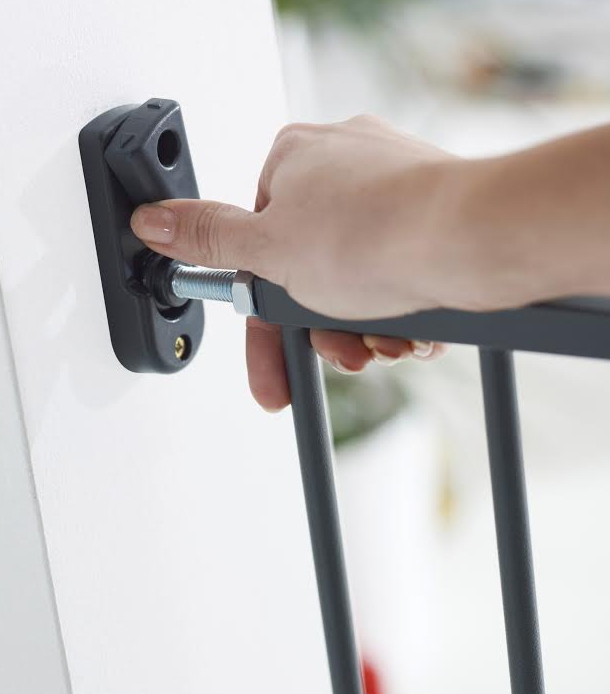 The gate is also quick-release, allowing it to become detached from the wall - perfect for taking off when you have company over. Instructions are not very clear on how to install. We have several holes in our home now trying to install it properly. Just letting others know, the long paper template is where the gate is fixed and swings from. The shorter template is where the gate opens. Also if you have crown molding on the bottom of your walls do not use this product. 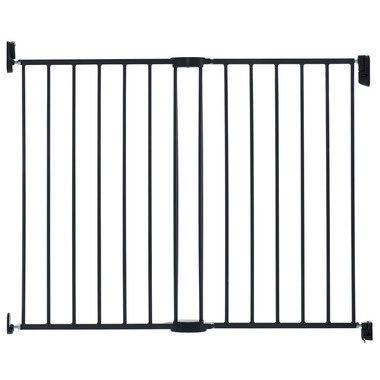 The gate is too high and your child can crawl under it.